Well let’s get the big one out of the way. Good ol’ Maya! Sometimes she crashes but we love her anyways. Most of the people reading this are probably intimately familiar with Maya so I won’t go on and on. One of the standard 3D animation software packages. You can animate with this software and also do lots of other things. Lots of people/studios use it. Animators should know how to use it. Also, if you’re a student, you can get it for free! Next in line for me is Quicktime Pro. You can scrub, you can frame through, you can easily copy and paste bits of video into other bits of video, which is all I really need to do for animation and video reference purposes. Though I will say, I’ve been getting an weird thing lately where it drops frames, so lip sync infuriatingly doesn’t match up on playback. A coworker of mine swears by this video player, which I haven’t tried out yet but it seems good. 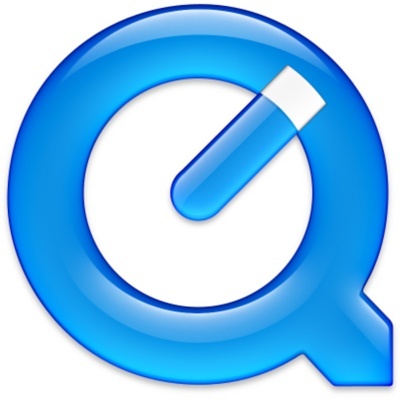 Quicktime Pro will cost you a slight bit, but in my opinion it’s a worthy investment due to ease of use. When I need to draw over video reference, Photoshop is my go-to. It really helps me to draw over key poses and clarify them before I start animating. Plus you can have a drawing (I put each drawing on its own layer) hold for more than one frame, which is helpful in the planning stage. I can basically plan out my rough blocking in drawings before hopping into Maya. It’s worth mentioning SyncSketch here too. I stumbled on this site a few months ago and have really enjoyed using it so far. It’s intended for giving animation feedback remotely, but it’s a really useful drawover tool for personal use as well. It doesn’t let you hold drawings for more than a frame, and you can’t currently download the drawn-over videos (though that’s apparently on the way) but if you’re looking for a quick, easy to use draw over tool it’s pretty great. It can’t completely replace Photoshop for me (yet) but it’s worth poking around in if you’re not the Photoshop type. I found out about Da Vinco Resolve through this Lifehacker post, and I am quite glad I did. It’s a free video editing software, and it is more than adequate for cutting your demo reel together. And it’s available for Mac and PC! Definitely check it out if you’re ready to put together your reel. Any Valve fans out there will likely already be aware of SFM, but for anyone who isn’t, it’s a powerful piece of software that allows fans to create their own movies. Valve released it a few years back and have made some fantastic shorts with it themselves. I haven’t played around with it a ton, but animating in it seems similar enough to Maya that it wouldn’t be an insane learning curve for most animators. In college, Jason Schleifer (former Head of Character Animation at PDI) came and gave a talk in one of my classes. He mentioned something called “The Pomodoro Technique” that helped him stayed focused during his workday. I had no idea what he was talking about but I looked it up afterwards and I have used it ever since. 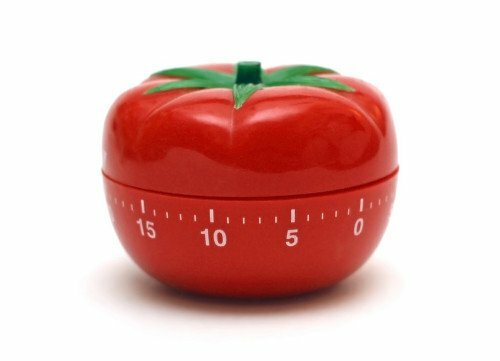 The Pomodoro Technique is this: you put yourself on a timer, working for 25 minutes then taking a 5 minute break (AKA looking at Twitter). After four 25 minute chunks, you take a thirty minute break. Repeat. The brilliance of it is that it’s so simple. The guy who invented it used nothing more than one of those tomato-shaped kitchen timers (hence the name, pomodoro is Italian for tomato) to keep himself on track. In this day and age, when a thousand internet rabbit holes are a few clicks away, this approach can be immensely helpful. You just stick to the timer. Exercise a little self control and avoid distractions during your 25 minutes of work and you’ll be amazed at what you can get done. At work sometimes getting pulled into a meeting can throw a wrench into things (though I still use it when I can) but for personal use I still find it incredible useful. As far as the actual software goes, I like Tomighty, though there are other apps and sites out there too. Using a timer like this helps me immensely in my efficiency, so if distractions are something you have a problem with, it’s worth trying. It’s also nice to play while you’re asleep if you’re the kind of person who likes to fall asleep to white noise and the like. That’s pretty much it in terms of the software I use to get stuff done. 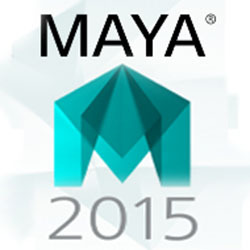 In my next post I’ll go over some of the tools and plugins I use inside of Maya. Till then, nerds! How did I not know about DaVinci Resolve?? I’ve been looking for a good Mac video editor forever. The Tomighty is sweet too. Resolve is the best!!! Kinda can’t believe it’s free, haha. More animators should know about it! And yeah the pomodoro technique has worked wonders for me. Glad you liked it dude! Oh and P.S. you are the “coworker of mine” who swears by the Zubrigg video player. So congrats Chris, you are famous now.